Suzanne adds watercolour paints to her digital print printed on fine art paper – you can choose from printing on Canson or Moab fine art papers. Once the print is dry, add more depth to add by painting on your print with watercolours, inks, acrylics or even gouache. The possibilities are endless! Suzanne from Opus Downtown gives a great demonstration on adding an acrylic gel medium to her canvas print once her print is fully dry. Add dimension and texture! 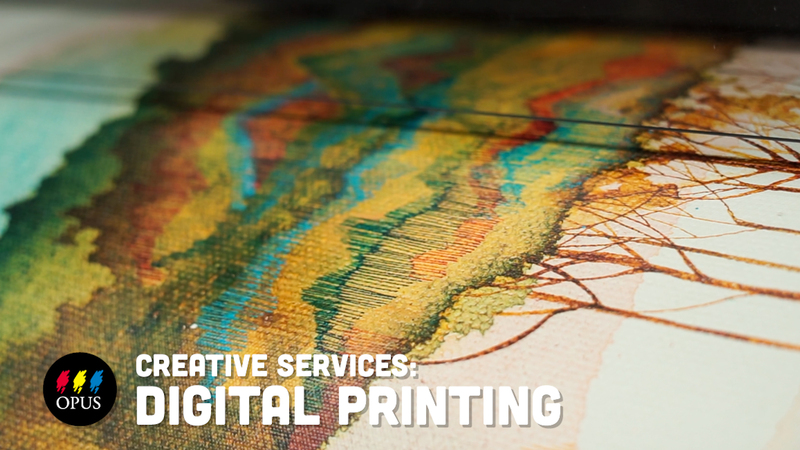 Lindsey from Opus Downtown introduces the Digital Printing Service, what we offer, how to bring in your files and what we print on in this informative video. Charity and Chris took a trip to Granville Island in January in the hopes of getting some opinions about Opus' custom DIY framing service. The power went out on the island, but not before one enthusiastic customer shared her thought about DIY custom framing. A brief lunchroom discussion about using Strathmore Watercolour Cards and Blank Creative Cards, and why theyre so cool!